Operators in the hardware distribution industry are responsible for the purchase and distribution of hardware items for use in building construction and renovation. Items are purchased directly from the manufacturer or OEM before being sold to building firms for use in general construction tasks such as framing, roofing, bricklaying, tiling, floor installation and much more. A large part of the hardware industry involves the sales of fasteners such as nuts, bolts screws, nails, clips and ties, etc; fasteners account for just below half of the total industry sales. The growth rates and trends of this industry closely mirror those of general construction: the revenue stream is reliant on there being enough construction projects to generate demand. While there are many hardware wholesalers competing in the market, the hardware industry tends to be concentrated among a few key brands, and these account for the overwhelming proportion of market share. As a result, these few companies draw most of the revenue in the sector, and less established companies are left competing for the remaining revenue. This leads to a catch-22 situation where smaller companies have little spare capital to promote their brand, leading to their products being overlooked. Tighter margins make it difficult for smaller distributors to post profits as price squeezing can lead to many smaller business being forced out. Smaller and mid sized companies can utilise inventory optimisation tools like EazyStock to identify areas in their inventory storage model where costs can be liquidated, freeing up cash flow for investment into sales and marketing promotions. More cash flow means a healthier, more competitive business. Inventory Optimisation software is designed to take the guess work out of buying processes. Tools like EazyStock work alongside ERP systems to create leaner inventories, while also advising buyers with accurate forecasts for product lines that have high demand and require high safety stock levels. On the flip side, with such a highly concentrated industry, there is a risk that certain product lines will fail to sell; this can dramatically damage profits for small to medium sized businesses. Here is where it begins to feel like a high wire balancing act. Distribution businesses need to avoid overstocking at all costs, while at the same time avoid stock outages that can irreparably damage the brand over time. Accurate demand forecasting and an optimised inventory can help to maintain profitability while the company builds positive brand-awareness. Both the construction industry and hardware distribution industry are directly impacted by seasonal variances and trends. Newer commercial and residential construction sites require mild weather conditions and will result in projects being closed or shut down during inclement seasons which impacts demand for supplies. Conversely, the demand for HVAC and plumbing supplies will increase during colder, more harsh seasons. Failure to take seasonality into account when managing inventory purchasing is a leading indicator of cost increases and can lead to costly stock outages or excess stock situations depending on the time of the year. Brand Awareness and Diversification: Profit margins are narrow in hardware distribution, so there is little scope for competitive pricing in the industry. The smaller wholesaler should look to set their products apart from their competitors by supplying a better product or offering a product that fulfills a unique role. Similarly, a reputation for reliability can attract a core base of loyal customers who help the company win new business through word of mouth and referral marketing. Optimal supply chain management can lead to high levels of customer satisfaction, helping to achieve this goal. Taking Advantage of Market Conditions: Where there is a concentrated market, a sudden upswing in market conditions is the best time to grow the business. Owing to the increase in available revenue, the current construction boom provides the perfect opportunity to expand. The current expansion of the construction industry provides opportunities to explore little-exploited niches in the market. This aids brand diversification by allowing the smaller distributor to expand in their own areas of expertise without having to compete directly with better-known brands with greater economies of scale. They will then be able to divert capital towards marketing their brand and gaining additional market share. Mid market distributors that seek to capitalize on larger shares of the market, a need for optimised inventory, and seasonality optimisation are the easiest ways to gain a competitive edge. It is easy to feel overwhelmed with trying to figure out how to best organise and run your supply network and purchasing management. 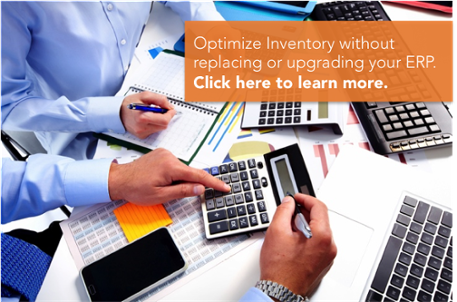 With EazyStock’s Inventory Optimisation Software, you can run your business smarter than ever. 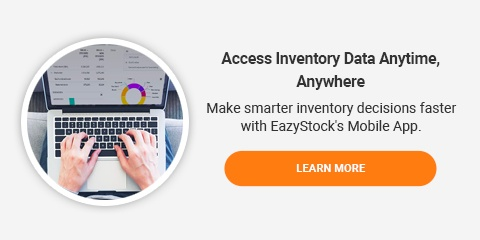 You no longer need to manually calculate restocking levels or reorder points; with EazyStock, you get dynamically updated data that automatically optimises your inventory levels. This software also has the unique feature of accounting for seasonality, helping you stay ahead of your competition and keep your inventory at the right levels to meet demand and keep costs contained.